Please note, we are currently out of stock of our original Real Shetland Wool carpet. We are offering a bespoke carpet service where we can make you your own RSW carpet, made to measure. Prices for this service depend on style and quantity so please contact us for more information. Made out of 100% undyed Real Shetland Wool 2ply yarn our Real Shetland carpet range has to be the number one choice for those looking for a unique yet stylish eco-friendly carpet. 5 stunning natural shades - 42oz/yd2. Discounts on orders of 100m2 or more. The random cut and loop pile is aesthetically pleasing and with five natural colour choices this carpet will go anywhere in the home. Available in 4m widths we can supply you both cuts and rolls. 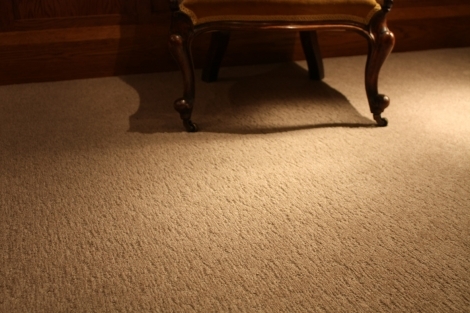 At 42oz/yd2 this carpet is regarded as suitable for 'Heavy Domestic/Light Contract' use. This means that the carpet is suitable for fitting throughout your home and in work areas with light foot traffic. A favourite for eco-home owners, our Real Shetland carpet is environmentally friendly for a number of reasons. First, the Shetland sheep who grow our Shetland wool are all from the Shetland Islands. These sheep stay out on the Islands grazing all year round and need relatively little looking after thus leaving an almost zero carbon footprint. 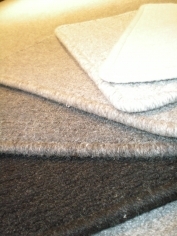 Second, we do not use any dyes to get our carpet shades, all wool is 100% undyed as nature intended. Third, the scouring (cleaning) process we put all our wool through is done at a very special scouring plant based in Yorkshire which has been awarded the title of the most environmentally friendly scouring plant in the Northern Hemisphere! All wool must go through the scouring process before it is turned into products for me and you to use or wear and Real Shetland wool goes through the most eco-friendly. 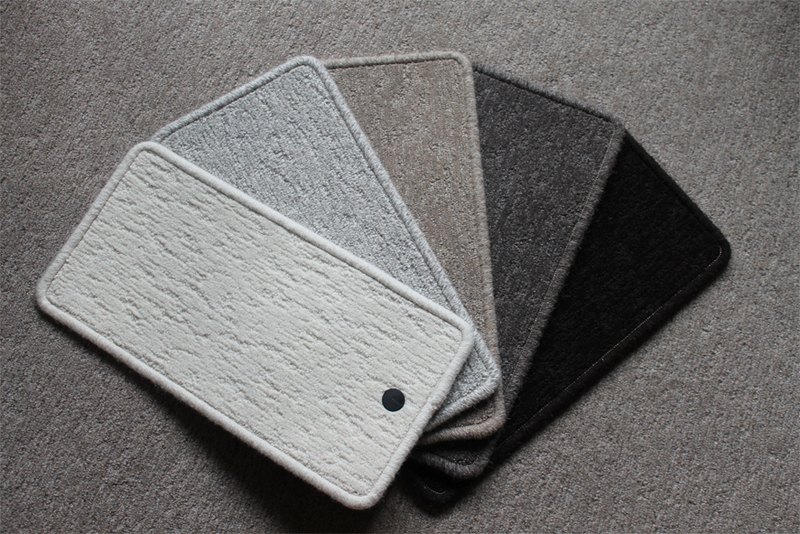 Floor Rugs - Heavy Weight "3 Sheep"
"Supplying Platinum Certificated 100% Real Shetland Wool products to the World"